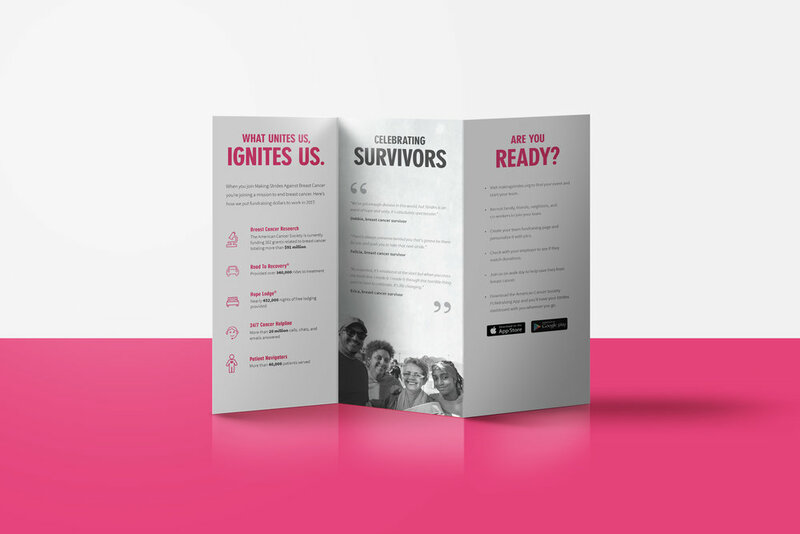 This new campaign was such a great and meaningful project to work on for the American Cancer Society. From the initial photo shoot with the great photographer Fernando Decillis to photoshopping event imagery into the women’s bodies to then laying out all of the different pieces needed, it was simply a fulfilling campaign. Hours upon hours were spent working, talking, laughing, and coffee-consuming in a room with my amazing Art Director Nikki Vogel (who had initially come up with this idea). Hitting some walls here and there, we ended up figuring it all out and the end results are pieces we are immensely proud of. 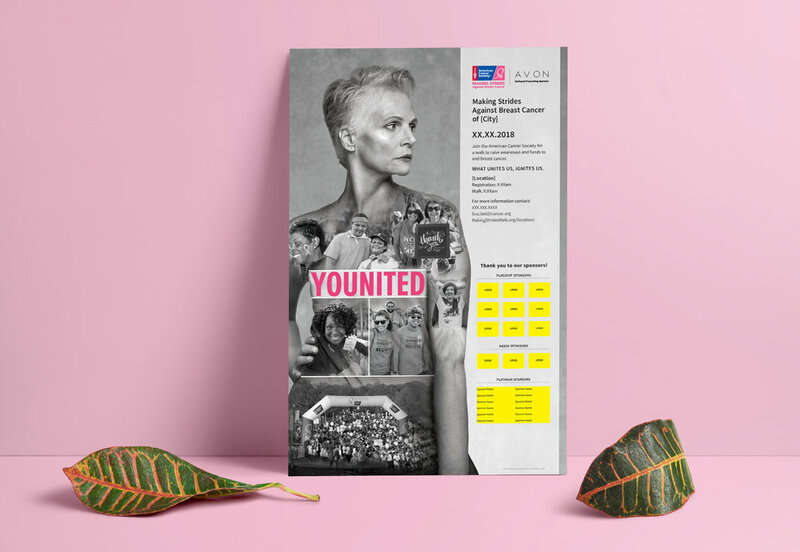 This campaign includes small and large printed pieces as well as web banners, hero images, and social media posts and gifs.